July 2014 ~ The History Girl! Approximately three miles west from Mount Vernon in Alexandria, Virginia is another important, but lesser known property that President George Washington once owned and bequeathed to members of his family. Well-preserved thanks to a number of nineteenth and twentieth century owners who saw the value of the original main block of the house, it became the first site to be owned by the National Trust for Historic Preservation. This jewel known as Woodlawn is a sister site to George Washington's Mount Vernon and has many of the same features and design aspects that typify a gentleman's southern plantation. "Bottoms Up: Cocktails, Cider, and Civil Rights"
Discover Morris County’s fascinating tavern, hotel, and restaurant culture from 1918 through 1978 at the Morris County Historical Society’s new exhibit "Bottoms Up: Cocktails, Cider, and Civil Rights" on view at Acorn Hall now through Sunday, October 5, 2014. 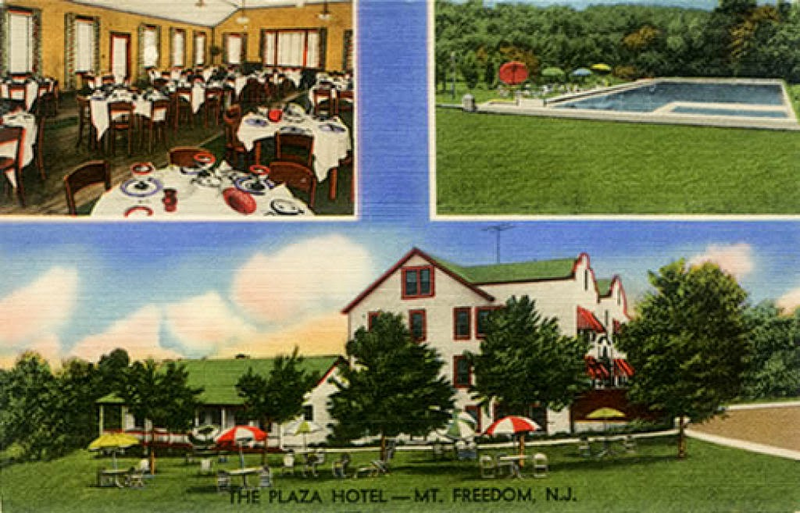 The exhibit looks at a diverse 60 year period in the Morris County hospitality industry that included Prohibition, the development of African-American taverns, the first LGBT bar in northern New Jersey, and the Jewish culture of the Mount Freedom “Borscht Belt” resorts. Visit Lambert Castle on Friday and Saturday and you will find yourself in Elizabethan times. The Passaic County Historical Society will host ATC studio’s Summer Shakespeare Conservatory for two performances at Lambert Castle: Friday, July 25 at 7:00 pm in the Castle Atrium and Saturday, July 26 at 5:00 pm on the Castle lawn. The production features "Selections, Scenes, Music & Mayhem" from a vast assortment of Shakespeare's plays. The performance will last less than an hour and a half. For the Gallery performance on Friday, tickets are $10 general admission. There is limited seating. Call 862-243-ATCS (2827) for reservations. The Lawn performance on Saturday is FREE; donations gratefully accepted. Royalty Seating (Reserved Prime Lawn Space) is $10.00. If you are attending the lawn performance, please bring beach chairs, lawn chairs or a blanket. Lambert Castle, home to the Passaic County Historical Society, is located at 3 Valley Road, Paterson, NJ. 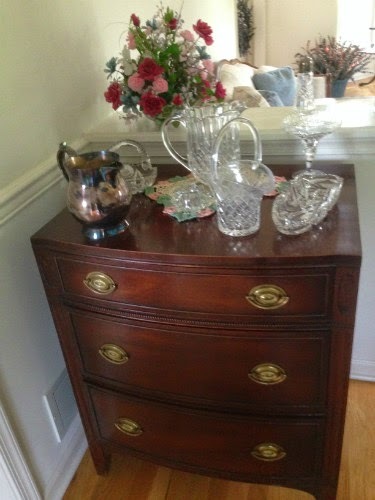 For more information, call 973-247-0085 or visit www.lambertcastle.org. Benjamin Franklin, Thomas Jefferson, George Washington. Recognize these names? Of course you do. There would be no Fourth of July celebration without them! Names so synonymous with America’s Independence movement that they are worthy of repeating: Benjamin Franklin, Thomas Jefferson, George Washington and John Hart. Wait! John who? Exactly! 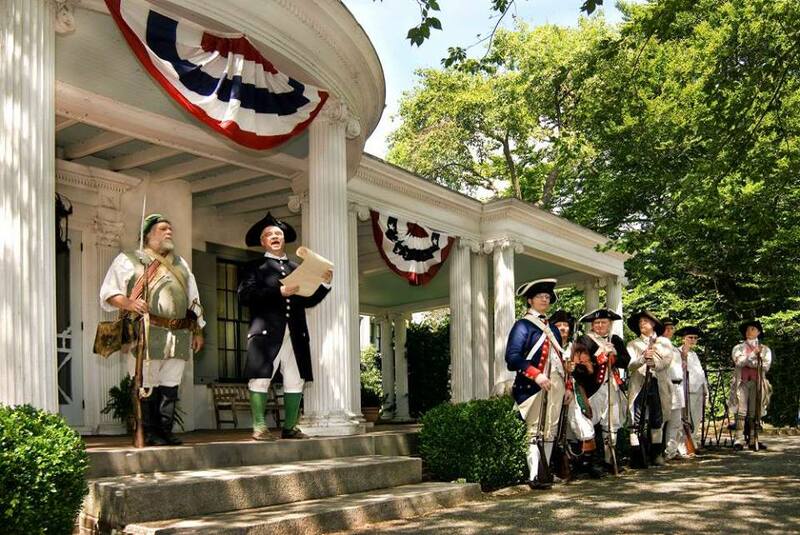 Few outside rural Hunterdon and Mercer County have ever heard the name, John Hart, let alone heard it spoken in the same breath as these immortalized Founding Fathers. But surely he belongs among the pantheon reserved for these revered demi-gods. He was there in Philadelphia in the summer of 1776. You can find his name among the five delegates from New Jersey who signed the coveted Declaration of Independence, and if you look closer into the conflict with the Crown the curious student of history will be richly rewarded to find so much more about him. 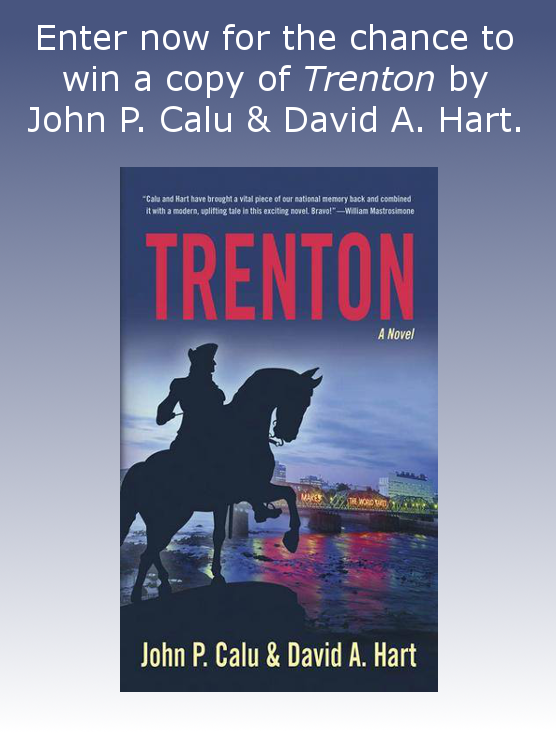 Thanks to authors David A. Hart and John P. Calu, The History Girl is offering one copy of their book Trenton, A Novel, published by Plexus Publishing, Inc. In order to be in the running, submit your name and e-mail address below! This contest has ended. Thanks for all who participated! Purchase a copy of the book here. Rules *One entry per person. *Valid for all residents of the 50 United States of America, 13 years of age or older. *Entries without a valid e-mail address are not eligible. Lucy the Elephant in Margate, NJ turns 133 this weekend! Join in the celebration on Saturday from 10:00 am - 8:00 pm. There will be a rock climbing wall, moon bounce, giant water slide, dunk tank, carnival games, and food including roasted corn on the cob, hot dogs, popcorn, Philly pretzels, cotton candy, snow cones, and of course birthday cake! Tucked away from modern conveniences and highways in Upper Freehold, New Jersey is a structure that has had very few changes since the time of its construction. The Yellow Meeting House, the oldest existing Baptist Church in New Jersey, sits far back from the road, with a sizable cemetery in front of it, patiently waiting for visitors to meander up its long curved driveway and peer through the single panes of hand-blown glass that separate one century from another. 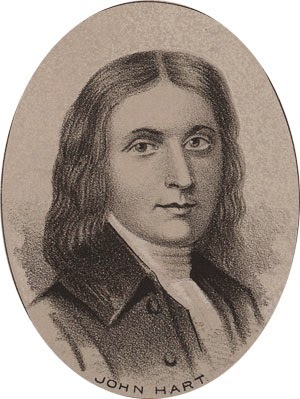 In 1720, Thomas and Rachel Saltar, owners of a nearby mill and ironworks, deeded twenty five acres of land to early Baptist settlers in the Upper Freehold area. An existing farmhouse on the church's property was converted into the first church building on the site. It was used for worship services until it was destroyed by fire in the mid-1730s. 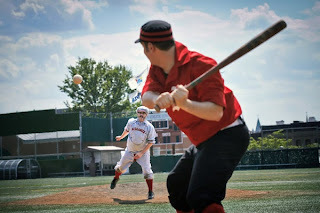 This week, I am featuring the Monmouth County Historical Commission. Established in August 1988, the Monmouth County Historical Commission is dedicated to the preservation of the county's rich historic heritage. As advocates for the preservation of historic properties, sites and projects, the Commission encourages citizens to be involved as well. For information on events hosted by the Commission and for the locations and operating hours of their museum sites, please call 732-431-7460 ext. 7413 or visit www.co.monmouth.nj.us/page.aspx?Id=1826. 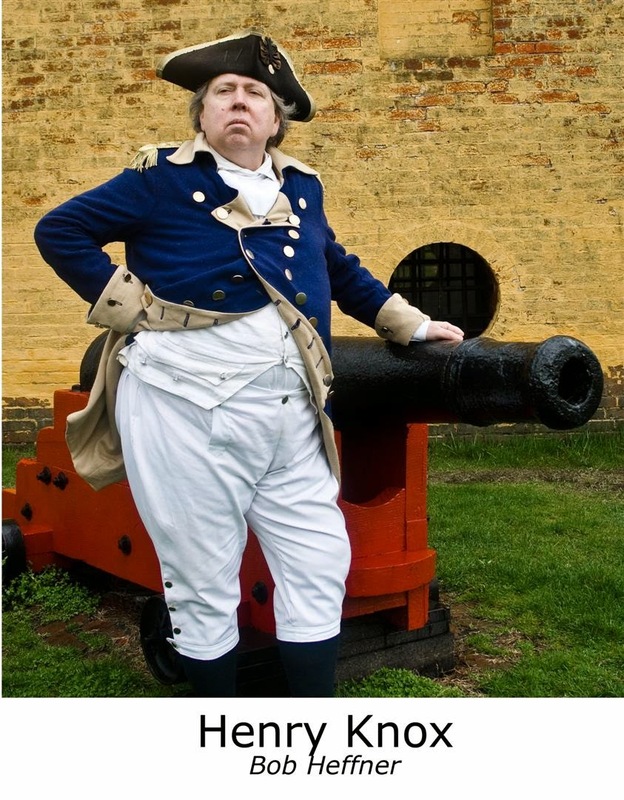 On Sunday, July 20 from 1:00 pm - 4:00 pm, the Friends of the Jacobus Vanderveer House will host an open house and a birthday celebration in honor of General Henry Knox, the artillery commander who lived at the Jacobus Vanderveer House while establishing a military training academy in nearby Pluckemin during the American Revolution. 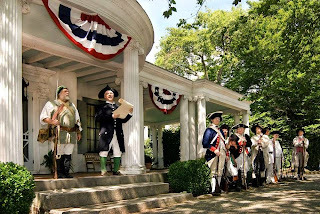 speak about his role as one of George Washington’s chief military advisors, the nation’s first military academy he built in Pluckemin, and his life at the Jacobus Vanderveer House during 1778-1779. Two years ago this October, the Solitude House Museum in High Bridge, New Jersey closed. Built in 1712 as a Germanic style stone home, Solitude House was part of a 10,849 acre parcel of land that would become the Union Iron Works. The Union Forge Heritage Association (UFHA), the site's caretaker, had worked to meticulously restore the first floor of the home, perform upgrades to its utilities, and make repairs to the exterior. This dedicated group of volunteers worked tirelessly for ten years at the site. In 2012, a dispute over the organization's lease renewal with the Borough of High Bridge ended their relationship and the museum closed. Upset, but not discouraged, the UFHA immediately began searching for a new property to call their own. Fortunately for them, a new opportunity existed only a few miles away in Union Township. This week, I am featuring the Union Forge Heritage Association (UFHA). Founded in 2002, the UFHA's mission is to preserve and protect the rich history and natural environment of Hunterdon County and the State of New Jersey. For ten years, the organization maintained and operated out of the Solitude House in High Bridge, New Jersey. But after failing to negotiate a new lease with the town, the Association began searching for a new headquarters and found the 1760 Joseph Turner House in neighboring Union Township, which was slated for demolition. After negotiating a 25 year lease with the State of New Jersey, restoration work began on this abandoned property. The new 1760 Joseph Turner House/Solitude Heritage Museum opened to the public on July 5, 2014. Future plans call for further restoration of the property, its outbuildings, and the home's exterior to its original appearance and establishing an environmental center. Previously, the Association was instrumental in establishing the Taylor Steelworkers Historical Greenway in High Bridge, which features the Taylor Steelworks Company office building (circa 1720s), Shop E, the grinding shop (1904), a restored 100 year old truss bridge, the Union Iron Works ruins (circa 1742), the Solitude House (circa 1710), the Lake Solitude Dam (1909), and Springside Farm. The acquisition of the land for the greenway, its construction, and the restoration of the truss bridge and forge site ruins was performed exclusively by volunteers from the organization. The Union Forge Heritage Association relies on memberships, fundraising, and countless volunteers to continue its mission. For more information on programs, special events, and exhibits hosted by Union Forge Heritage Association or to become a member or volunteer, please send an e-mail to ufhanj@hotmail.com or visit their Facebook page. The ribbon cutting at the 1760 Joseph Turner House/Solitude Heritage Museum on July 5, 2014. On the morning of November 20, 1776, the young colony of New Jersey and their leaders were under attack. British and Hessian troops landed at Lower Closter Dock and scaled the Jersey Palisades along the Hudson River. General Washington and his troops began their retreat through New Jersey from Fort Lee, over the New Bridge, and past the Zabriskie house to safety that day. The Continental soldiers, trailed not far behind by the enemy, narrowly escaped entrapment on the land between the Hudson and Hackensack Rivers. Thomas Paine, who marched with the troops, soon immortalized this darkest hour of the Revolution with the refrain “These are the times that try men’s souls.” Today, New Bridge is often referred to as “the bridge that saved a nation” for its role during the Revolutionary War. Although that wooden bridge has since been replaced, the Zabriskie house still stands, watching over the Hackensack River and reminding those who have come after that our freedom was not easily attained. The Steuben House at Historic New Bridge Landing.